What a time to be alive! Just one year + one day after 20th Century Fox released The Maze Runner, the franchise's second installment, The Scorch Trials, after James Dashner's book of the same title, already hit the silver screen. After a brutal week at work I was more than happy to join my Maze-crazed sister Margot, Disney-bound brother Marlon and food pornographer/girlfriend Sarah for an evening of cinema. It's the weekend - guess that's all that bloody matters anymore. The Maze Trials are over. Thomas (Dylan O'Brien) and his fellow remaining Gladers - Newt (Thomas Brodie-Sangster), Minho (Ki Hong Lee), Teresa (Kaya Scodelario), Frypan (Dexter Darden) and Winston (Alexander Flores) - are taken to a facility run by Mr. Janson (Game of Thrones' Littlefinger Aiden Gillen), where they are given clothes, food and sanitation. At first sight the facility is a safe haven from WICKED, the Flare virus and the cranks, but with the help from Aris (Jacob Lofland) - the first Maze survivor to end up in the facility - Thomas soon discovers that not only Ava Paige (Patricia Clarkson), WICKED's leader, is still alive, but that Janson is conducting experiments on Immunes for her. The group + Aris escape the facility, finding themselves in a desolate outside world called "The Scorch". Two things stood out about The Scorch Trials. I liked that A) director Wes Ball decided to be unfaithful to the book, which is something that you rarely see with dystopian Y/A movies, and B) the young cast is fully committed to the story, trying their hardest to make you believe that what you're watching is real. O'Brien and Brodie-Sangster, in particular, are charismatic and a joy to watch. As expected, Gillen is sublime as the untrustworthy Mr. Janson. Canadian actress Rosa Salazar (aka Lynn from Insurgent) is also great in her role. What I didn't like? 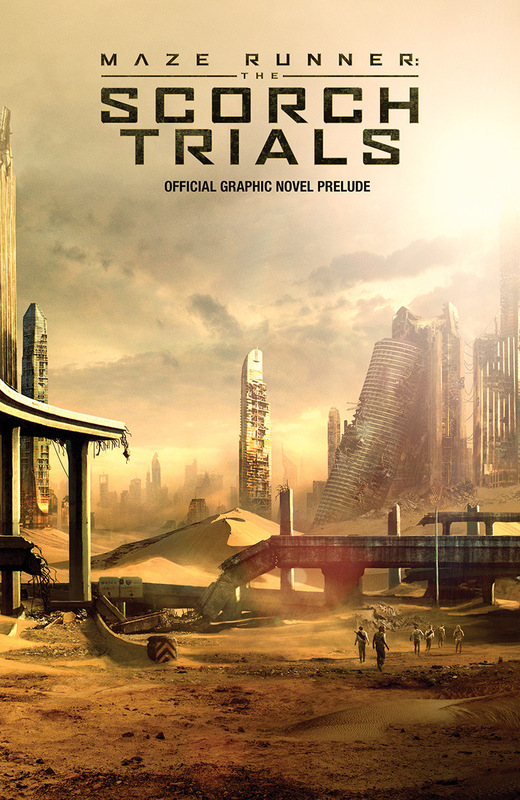 The fact that the mystery of The Maze is gone, and that The Scorch Trials is basically a 129-minute chase movie. Sure, there are action scenes (upon action scenes upon action scenes) and zombies to snack on, but with so much focus on running and chasing, the plot leaves much to be desired. With The Death Cure due out in 2017, I expect that Wes Ball is basically setting the table for the finale, making The Scorch Trials a typical middle installment.